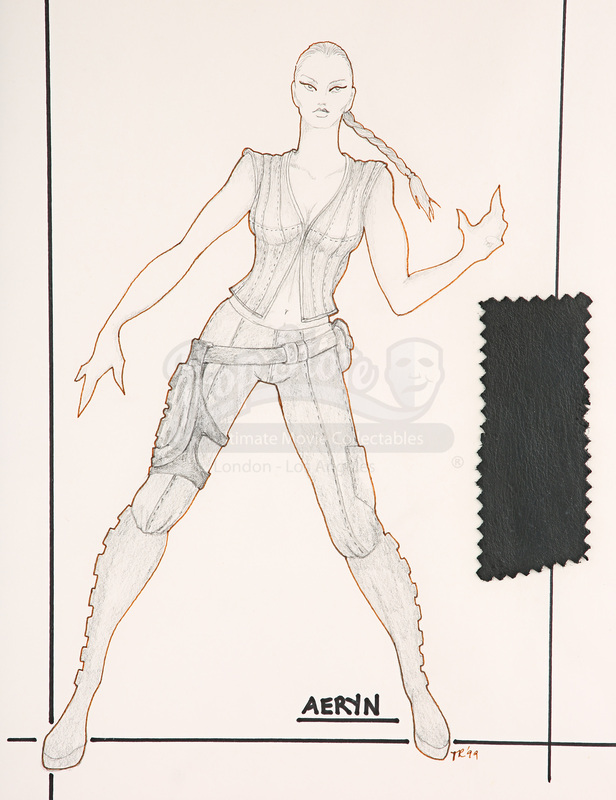 A framed costume design sketch of Aeryn Sun (Claudia Black) from Rockne S O’Bannon and The Jim Henson Company’s 1999 science fiction TV series Farscape. 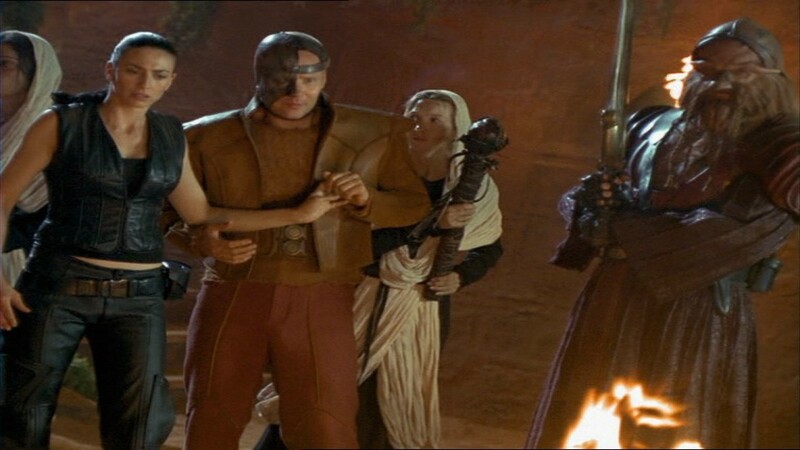 American astronaut John Crichton (Ben Browder) finds himself thrown across the universe when an experimental mission goes bad. Crichton teams up with a group of rebels involved in an intergalactic battle and begins a journey unlike anything he dreamed was possible while trying to find a way back to Earth. 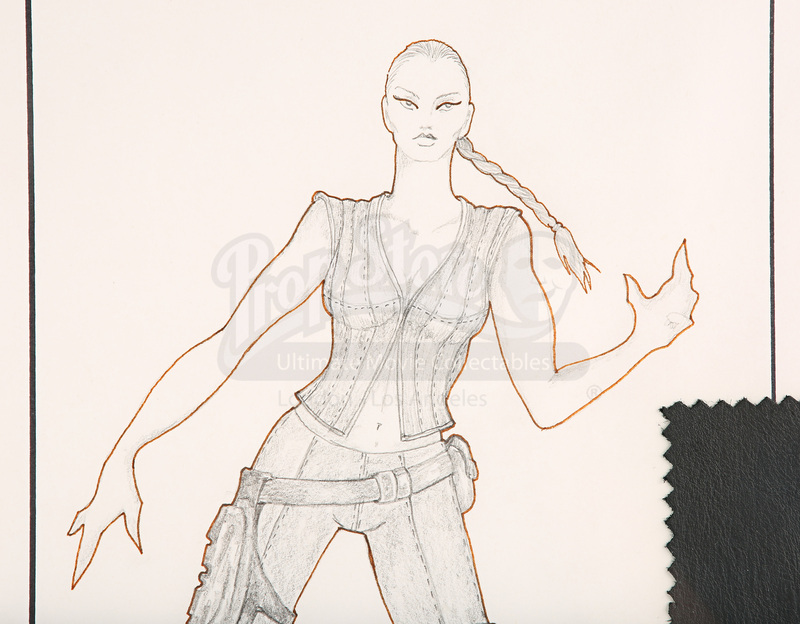 This piece is an outline sketch of Aeryn Sun, with details of her costume sketched in pencil onto it. The show’s title is in the top left hand corner and there is a swatch of fabric at the bottom right as a reference for how it will be made. The sketch is signed ‘TR ‘99’ by Terry Ryan, the Emmy-nominated costume designer who worked on all four series of Farscape. This item comes beautifully presented in a black paint wood frame and is in excellent condition. Materials: Paper, Acrylic, Man Made Woven Fibres, Wood, Ferrous Metals.